King James is hinting that he will leave the Miami Heat and return to Cleveland—a move that would be felt far beyond the sports world. I believe that in 2014, NBA megastar LeBron James will create the feel-good sports story of the millennium by becoming a free agent and rejoining the Cleveland Cavaliers. This seems like an impossible scenario: the team that LeBron spurned to “take [his] talents to South Beach”; the fan base that burned his jersey when he made “the Decision”; the owner who sent unhinged messages to the press in both the font and tone of an over-stimulated 11-year-old. It sounds impossible, yet LeBron hasn’t denied the possibility, and it makes sense in a way that transcends dollars, cents and championships. If Ohio’s prodigal son makes this most unlikely of returns, the effect would be the kind of social phenomenon felt far beyond the sports world. I love Ohio, but it has become a state that people feel compelled to leave. As deindustrialization took its toll, the state saw its population decline drastically over the last decade. According to the 2011 census, Cincinnati, Toledo, Youngstown, Dayton and LeBron’s hometown of Akron all have suffered mass exodus since 2000. Leading the way was Cleveland, which hemorrhaged 17 percent of its population. LeBron, so hated for leaving, was just one in a wave, another young person in Cleveland who grew up and left. His return, however, would inspire more than just thoughts of symbolic resurrection. It also would mean literally hundreds of millions to the state. 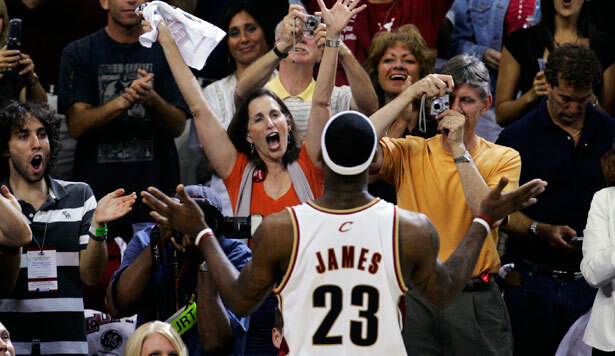 The Heat, according to Forbes, have risen in value by $250 million since LeBron arrived. And now, at 28 years old, the three-time MVP is at the apex of his basketball and cultural powers. It’s this ability to inspire with his play that, fairly or unfairly, goads us to want him to be more than an athlete; to see if he cares about the lives of those who follow his every step. LeBron would fulfill that desire if he chose to marry the prime of his career to Cleveland, Ohio, and become a state-wide avatar of regeneration amidst the vulture capitalism plaguing the Rust Belt. All great athletes inspire these illogical desires. No matter how many times we’re burned by confusing sterling play with sterling character, we return to the flame. We thought Michael Jordan’s ability to astound would also make him care about Nike’s sweatshops in Southeast Asia. We thought Earl Woods’s very public dream that his son Tiger would use his fame to do “more than any other man in history to change the course of humanity” might make him desire a goal greater that Jack Nicklaus’s eighteen grand-slam golf titles. Many believed Joe Paterno was a saint and Lance Armstrong, whatever his faults, was doing it all for a greater good. We demanded a third dimension among these icons, and upon finding it, recoiled at the sight. We keep relearning the lesson that the qualities needed to become a top athlete or coach don’t always translate into qualities worthy of a decent human being. And yet, LeBron James holds out the tantalizing possibility of being something more than a brand. There is something that made him say that his dream was to be “a global icon like Muhammad Ali.” There is something that made him dip a toe into waters African-American athletes rarely tread and say that he believed racism played a role in the ferocity of the reaction when he left Cleveland. 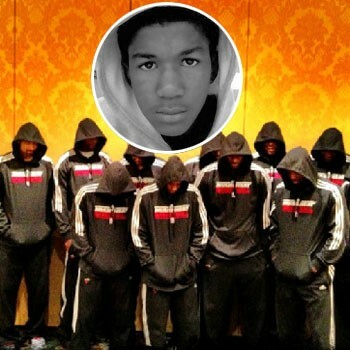 There is something that compelled him to organize his team to stand up for Trayvon Martin, the entire team posing in hoodies, after the 17-year-old was killed by George Zimmerman. There is something—after all the bad blood, hurt feelings and still-sensitive scar tissue—that compels him to say he might leave Miami and return to Ohio. He’s our superstar in the age of declinism, but one who inspires belief that there are better days ahead. I believe that LeBron James will leave Miami next season and return to Cleveland to become something not even Michael Jordan ever achieved: a folk hero. But I also believe that, even if he doesn’t find his way back to Ohio, LeBron James will continue to dazzle, and unlike so many others, never make us feel cheap for trusting him with our respect. Ohio sports could use some role modeling. Read Jessica Valenti’s take on the Steubenville trial.